Wooden windows are very popular because they are quite reliable, durable and have a pleasant appearance, which is important for many property owners. One of the biggest threats to these structures is fungi and mold. The bottom line is that different types of fungi should be eliminated by a certain technology; there are no means that could get rid of all existing problems. Immediately, we note that it is possible to process windows with our own means of protective equipment, but this will not guarantee that all actions have been performed correctly. If you want to securely protect your wooden windows and extend their operational life, then you need to contact specialists. The fungus progresses if the wood is constantly exposed to high humidity, is damp. This is a natural habitat for microorganisms, so it is not surprising that they will develop rapidly, destroying the structure day after day. Fungi may have varying degrees of destructiveness, but in any case they are worth fighting for, because otherwise they will constantly develop, having a negative impact on the condition of the windows. The cause is a humid environment. First of all, it is necessary to exclude it, and also to process windows with special impregnations. If this is not done, the integrity of the windows will be compromised, and their operational life will be reduced several times. Can mold be attributed to fungus? Yes, mold is a fungus that adversely affects wooden windows, significantly reducing their service life. The causes of mold can be very different, but it develops only with excessive moisture. If the wood is dry, does not contain a large amount of moisture, the mold simply does not appear. When the windows are constantly wet and do not have time to dry on sunny days, they are susceptible to the harmful effects of mold and will soon need to be replaced. Some species are more susceptible to the development of mold, and some are highly resistant to fungi. For example, if the window frame cracks, water will accumulate in it, creating a favorable environment for the progression of fungi. You will immediately be able to feel the musty smell and understand that windows require urgent attention, since otherwise they will soon become unusable. 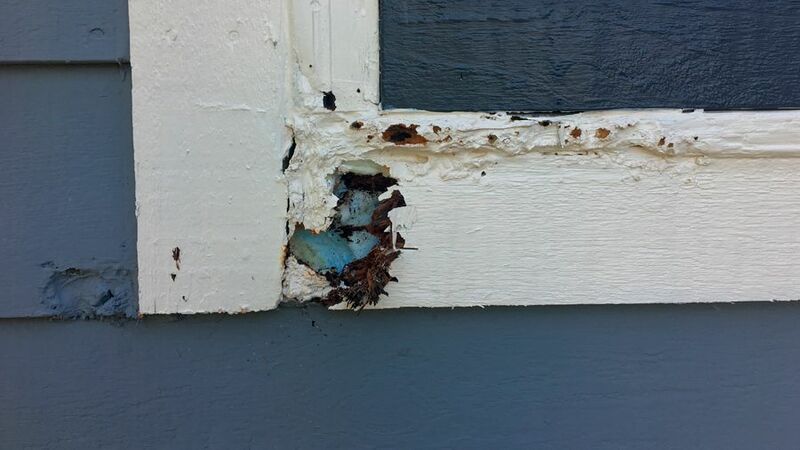 Mold will contribute to the destruction of wood fibers, so the margin of safety windows significantly reduced. How to deal with fungus, affecting wooden windows? The fungus is an organic microorganism that appears in places of high humidity. Practice shows that some wooden windows do not have decent quality, so cracks appear on their surface and other places where water accumulates. In the same places or near them fungal formations will appear. This can be eliminated only by treating the window with appropriate compositions, as well as by eliminating the source of high humidity. Also, the fungus can appear without the presence of a source of moisture, as it creates it itself, processing wood. Dry fungus can quickly destroy the integrity of windows, so you need to deal with them immediately upon detection. Where does the fungus on wooden windows come from? The spores of the fungus are present in the surrounding atmosphere, so they often end up near wooden windows and begin to interact with them. If the living conditions are favorable for them, the spores begin to germinate and multiply. If the moisture content of the wood is more than twenty percent, then the likelihood that the fungus will progress rapidly will increase. If gutters leak near the window, the ventilation system is disturbed, rising humidity is manifested, then in this case the fungus will constantly appear, as if struggling with it. It is necessary to exclude those factors that form a favorable environment for the life of the fungus. It is noteworthy that the spores of the fungus do not even stop the brick walls. Provided that the habitat is suitable, the mold and fungus will appear in any case. Also, fungi are often found in areas where the operation of the ventilation system. It is possible to fight fungus and mold by using special impregnations, as well as by eliminating the source of the appearance of high humidity.